Lakeside Hire offers a fist class Access Equipment Hire Service for both commercial and domestic customers. ...• Lakeside Hire supplies what you need when and where you need it! With Lakeside Hire you don’t need to have a big corporate account to get great rates because we cater for just about every customer, so whether you’re a DIYer or a construction company we will make sure you get the right products at the right price. 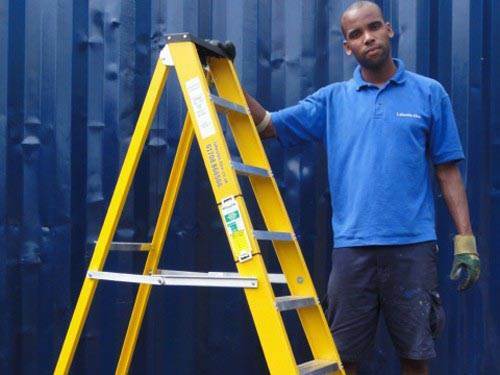 It’s not just about the great rates though because we take great pride in the level of service we offer including the standard of our equipment which is serviced and inspected by PASMA trained staff. Many of our customers return to us time and time again not just because they find they are saving between 50-70% compared to their existing hire supplier, but because they know they'll always receive an efficient and reliable service. 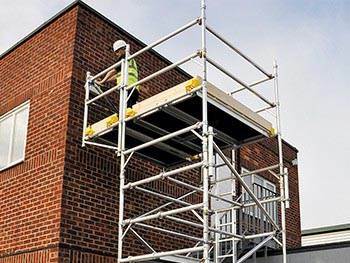 Aluminium Scaffold Towers are ideal for providing a safe, stable and secure platform for a wide range of applications including commercial and domestic. 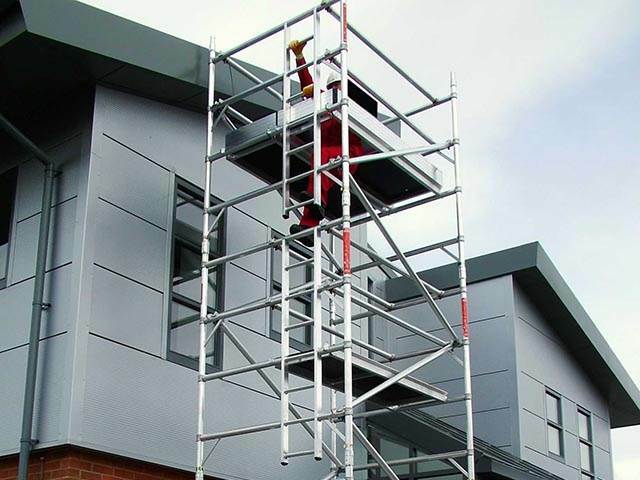 Our aluminium scaffold towers are available in a range of sizes and configurations including double and single width, stair tower and GRP for electrical contractors so why not get in touch to find out more. 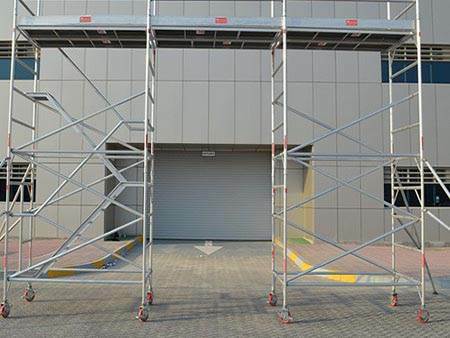 Additional aluminium tower items include staging boards, cantilever sections, foam protectors, bridge beams and scaffold tags. 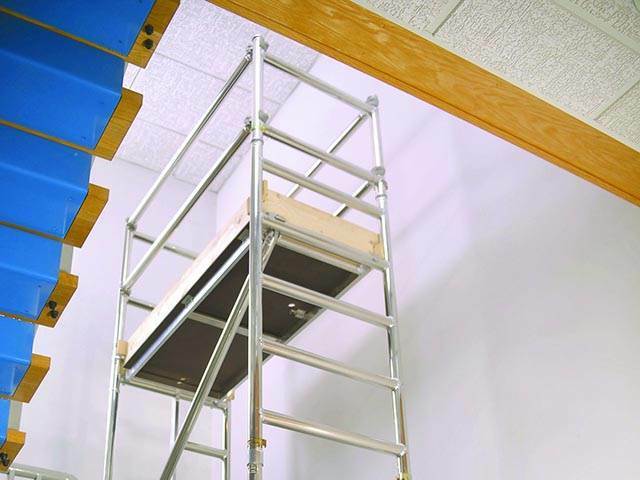 Sometimes the simple Ladder can be the most effective, least expensive and easiest way of accessing your work project. 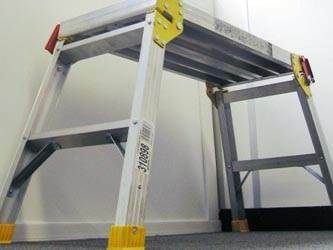 At Lakeside Hire we have a comprehensive range of ladders to cover every possible situation and environment so whether you're working in a Zone 1 situation or just flat ground we will make sure you are provided with the correct ladder for your task at hand. 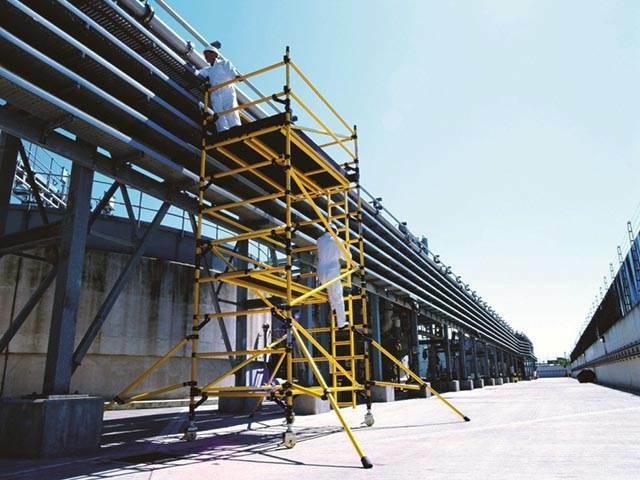 Some of the more common ladder products available under this category include step ladders, roof ladders, combination ladders, extension ladders, low level platforms and GRP Step Ladders. 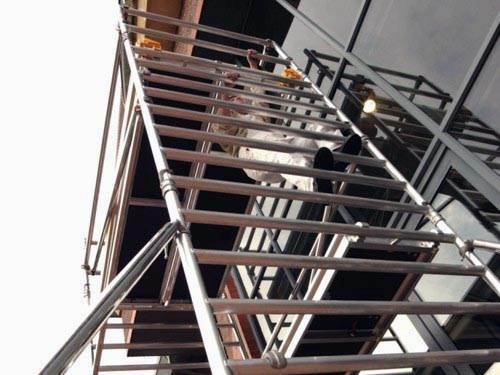 In some instances the use of a scaffold tower is simply not suitable i.e. height, strength, access. 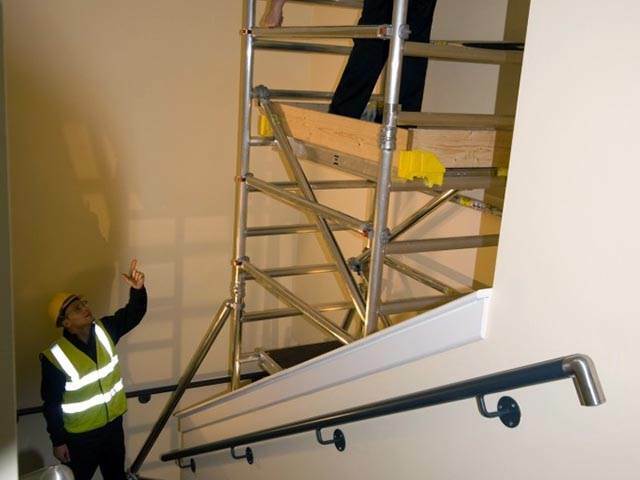 At Lakeside Hire we offer a range of mobile elevating work platforms so why not call one of our trained power access hire experts who will assist you in selecting the best option. 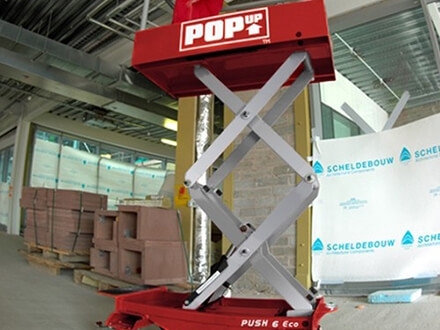 Our range of powered access equipment includes, scissor lifts, power towers, peco lifts, pop up plus scissor lifts and power tower nano lifts all of which are available for next day delivery both London and Nationwide so why not give us a call. 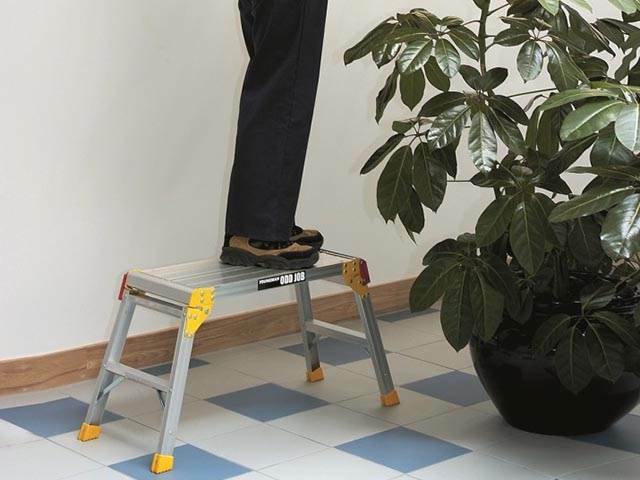 Podium steps are extremely handy and sometimes adjustable which makes them the preferred piece of equipment where difficult to reach applications are involved. They are also very quick to set up i.e. under fifteen seconds. This makes them an attractive alternative especially where time is of the essence. Lakeside Hire has a wide range of podium steps available for hire, from mark 1 to mark 3 podium steps, razor decks, narrow podium steps, and adjustable podium steps so why not contact us for more information or go to our online shop and request a call back. 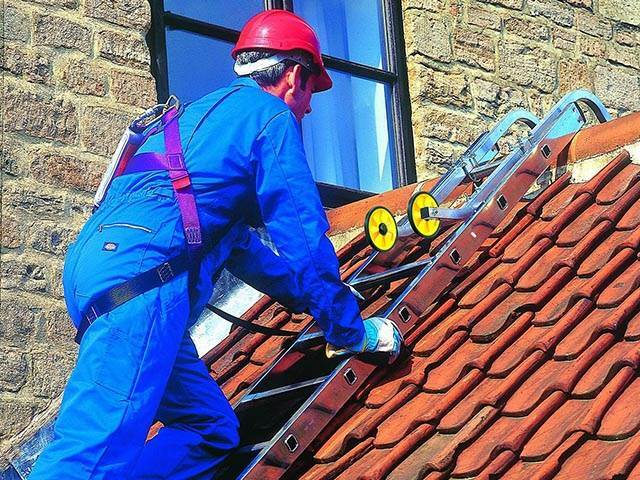 As any tradesman will tell you when on site it’s better to be prepared for all eventualities. 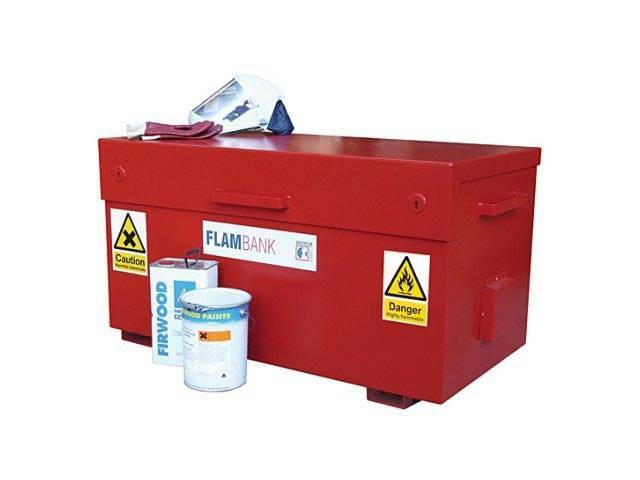 With an ever growing range of site accessories Lakeside Hire offers a sure solution for your entire major on site requirements, so whether it’s a small but powerful Strongboy or a mighty site storage chest Lakeside Hire endeavours to cover all eventualities regarding site accessories. The Acrow Props from Lakeside Hire will never let you down! 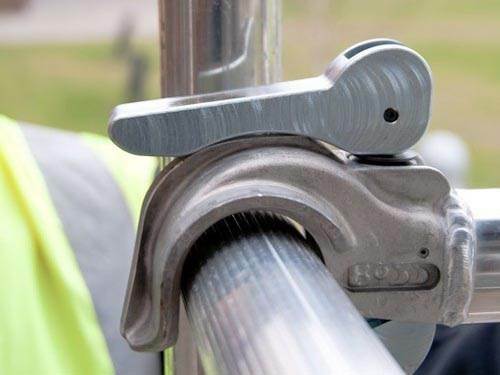 The famous Acrow adjustable steel prop provides a strong and reliable support anywhere on a building site making sure everything is safe and secure. These fully adjustable devices are available in four different sizes and can be used in conjunction with attachments such as Strongboys etc. With its nationwide reputation for efficiency and reliability in the supply of quality equipment Lakeside Hire offers a second to none Site Box hire service with items available for immediate delivery so why not contact one of our trained professionals to discuss how to keep your equipment safe and secure. A Razor Deck is an ingenious piece of equipment with a special folding mechanism that can be assembled safely and easily on your own in just a few seconds, no complicated instructions, no manual, no motors, batteries or extra parts. 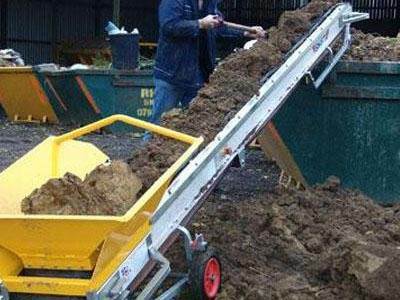 Operating is a doddle and you can get exactly where you want to be to carry out your work, extremely cost effective. 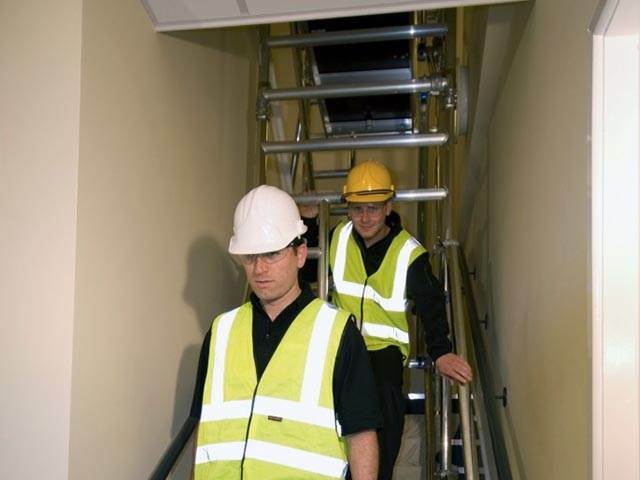 The ingenious Genie Lift is perfect for specialist contractors such as mechanical and electrical engineers where taking heavy loads to ceiling areas is required. 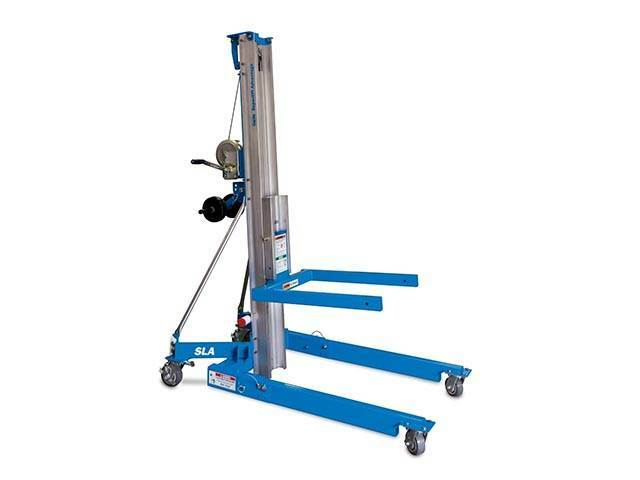 With a lifting capacity of up to 300kg and a height reach of 26 ft the Genie Lift makes moving heavy loads a simple task and is well suited for those one off jobs that so often arise so why not give Lakeside Hire a call to find out more. We supply WHAT you need, WHEN and WHERE you need it!